A new advertising campaign, which appears to be aimed at Chinese gamblers in Ottawa, Ontario, is raising the ire of some in that community. 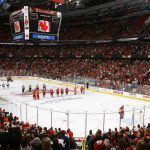 The ads were created by the Rideau Carlton Raceway, which is set to undergo a major expansion as it partners with the Hard Rock brand. Part of the expansion is a new “Asian-inspired gaming area”, and the ads indicate an aggressive attempt to court the Chinese community. The majority of the ads are written entirely in Chinese and appear around the city on large billboards, as well as bus shelters in Chinatown. Their attention-grabbing graphics promote games like pai gow and mini baccarat, which are traditionally popular among the Chinese population. This, despite recent claims from the local health authority that the specific community is at a much greater risk of gambling addiction. The timing of the ad campaign is curious, considering the findings of a recent report by Ottawa Public Health (OPH). After the casino expansion was announced, the OPH released a study showing that a disproportionate number of Chinese residents are problem gamblers. The study found that about 1.2 percent of the general population is harmed by addiction, while the rate among Chinese gamblers is more than double that at 2.9 percent. Anna Wong believes the rate is even higher than that in reality. The executive director for Chinese Family Services of Ontario believes the ad campaign has the potential to make things even worse, according to CBC News. “Gambling is one of the social activities that are pretty primary to the culture, or ingrained in the social culture,” Wong said. According to the US National Library of Medicine, while Asians only represent 8.2 percent of the global gambling population, they account for 14.3 percent of those considered high-risk problem gamblers. 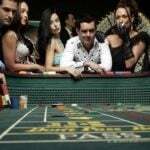 However, casino officials dispute the allegation that they’re specifically targeting Chinese people and insist they aren’t breaking any regulations. “We market to all communities. 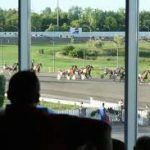 If there’s Mandarin-speaking people who are interested in gaming, then we want to expose our entertainment to them,” said Andrew Wright, a director of the Rideau Carleton Raceway, via CBC News. If the casino in the Canadian capital is indeed targeting Chinese gamblers, they wouldn’t be the first to do so. Both the Lucky Dragon and Resorts World in Las Vegas were openly courting that demographic when they opened in 2016. The casinos tried their best to bring a bit of China to the Sin City in an attempt to dominate the demographic, but neither of the projects lasted very long before failing. The Rideau Carlton isn’t going to quite those lengths, but their ads prove they’re also not shy about attracting the Chinese community. After all, they’ll soon have a huge new casino to fill. A $318-million expansion is expected to be approved by Ottawa city officials. Once complete, it will include 750 new slot machines and 20 new gaming tables, in addition to a 200-room hotel and 2,500-seat theater.